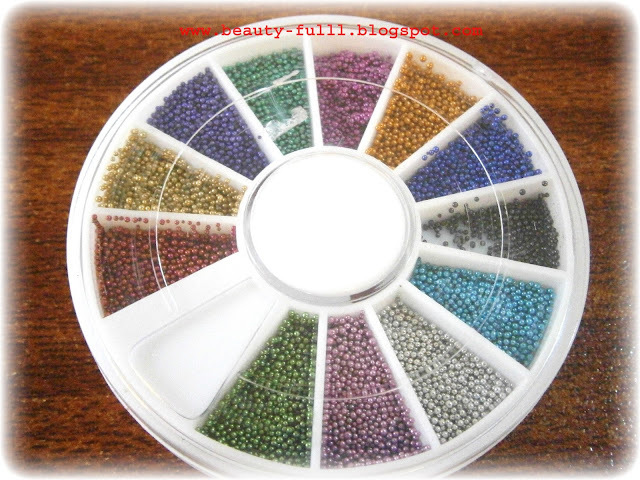 Today I will be reviewing 12 Color 3D Steel Ball Caviar Manicure Set that was sent to me by Born Pretty Store. 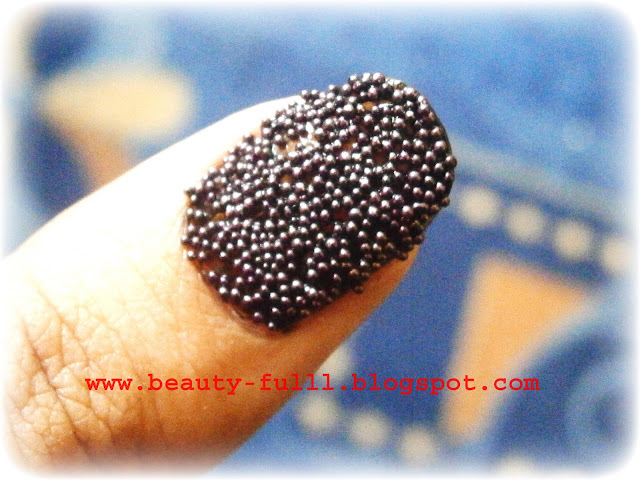 This is the first time I tried caviar manicure and I seriously loved it.It looks beautiful and is really easy to do as well. The set contains 12 color beads and is just for $2.33 which is very cheap. The quality of the beads is amazing.They are a little small in size but still they look very pretty when applied. 2-Paint your nails in a matching color to the steel balls that you decided to pick.I chose the black color.Wait till it dries completely. 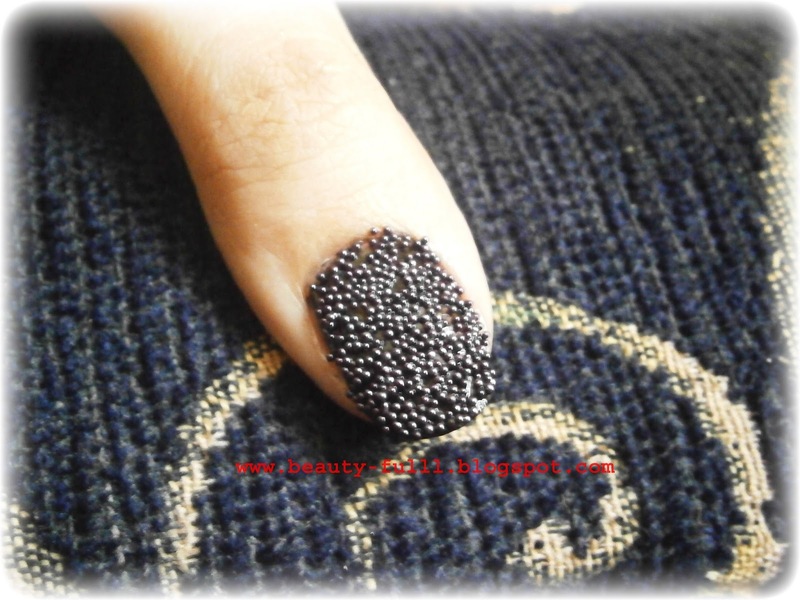 3-Now re-apply the same base color and while it is still wet sprinkle some beads over your nail.